Figure 1. Bolts, Washers, Split Flange Clamps, and O-ring. Figure 2. 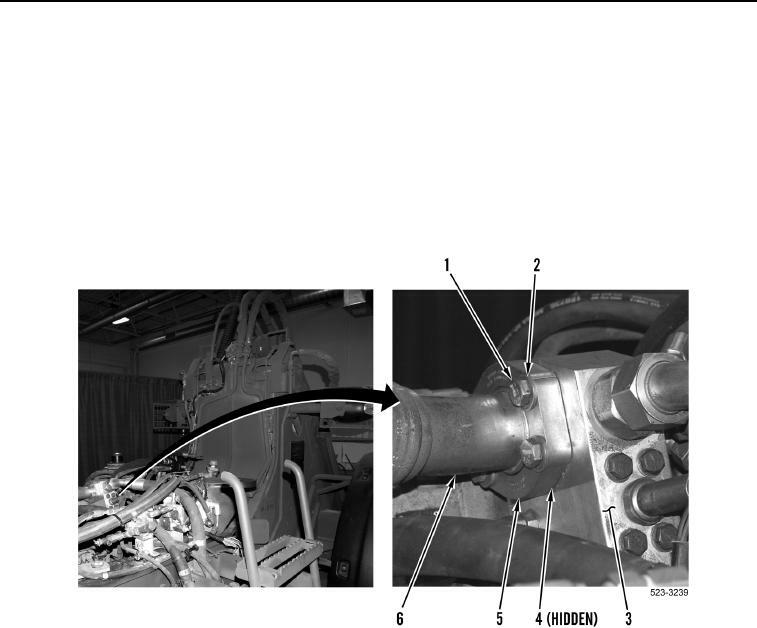 Implement Return Hose at Steering Manifold. Note routing of hose to aid installation. Tag and mark hose and steering manifold port to aid installation. Cap or plug hose end and open port to protect against contamination.